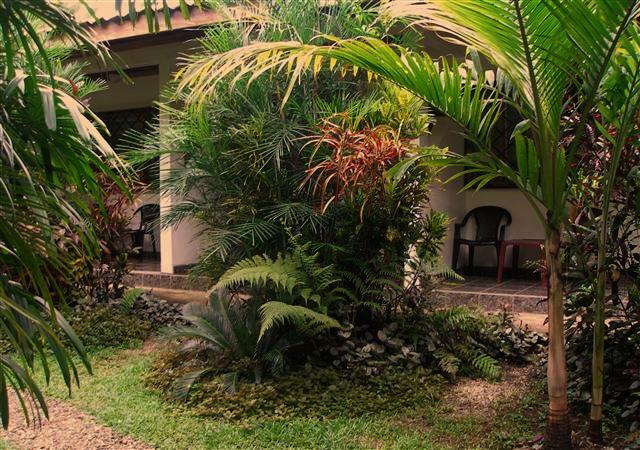 Adjacent to the hotel rooms is convenient and secure parking. We can provide lock-up security for your valuables. ​The rhythmic sound of the sea promises a soothing restful sleep and ​a symphony of birds will announce the morning right outside your door. 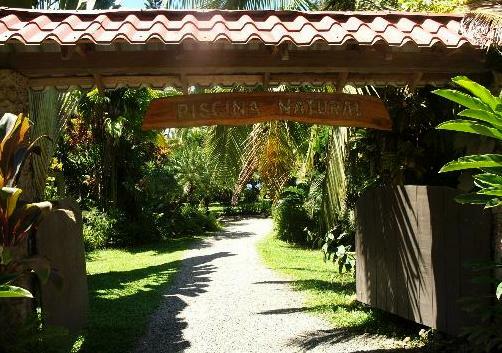 With just five double occupancy rooms at PISCINA NATURAL, we offer a more personal hotel experience. 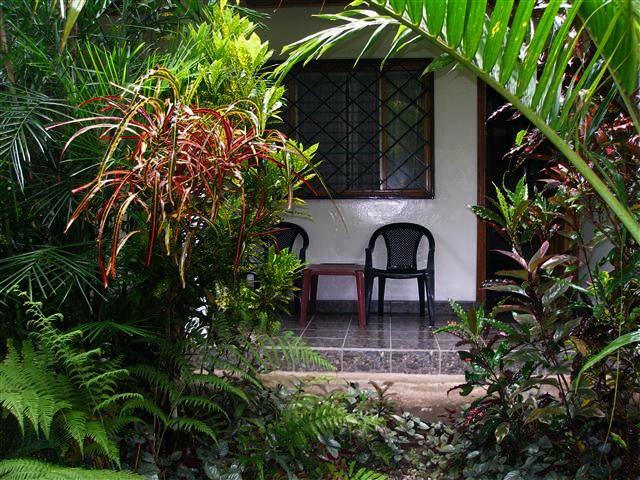 Our rooms are clean and secure, each with a private bathroom, hot water shower and fan. 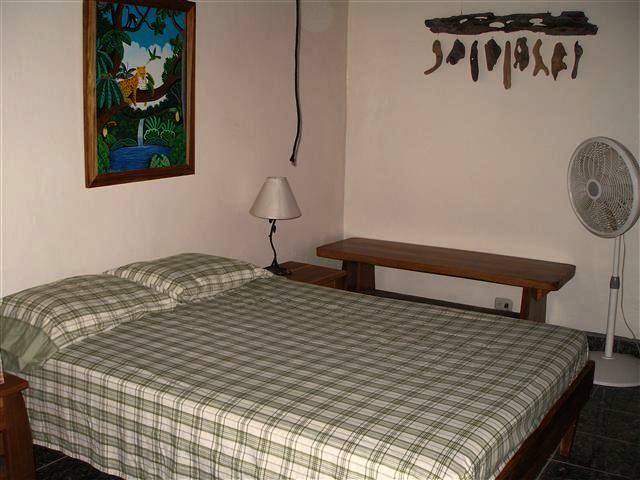 All rooms have comfortable beds with quality coverings, bedside tables and mosquito nets. 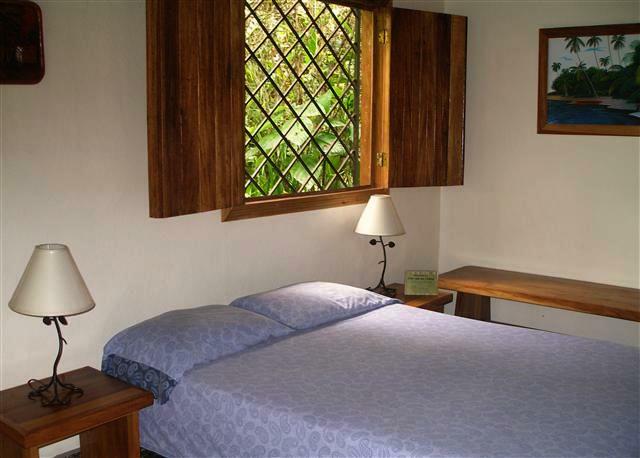 ​Each room is decorated with local art and faces the garden with a private sitting porch. We accept dollars and colones.